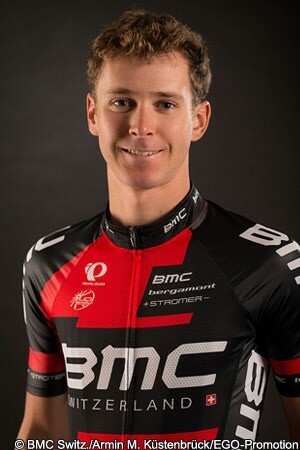 BMC Racing Team rider Peter Stetina has called for a rethink of the way riders are identified in races, saying that he and others in the peloton believe that pin-on dossards are amateurish and that year-long race numbers would simplify things for fans and TV commentators alike. The American, who moved across to the team this year after many seasons with the Garmin/Slipstream setup, got things off to a fine beginning at the Tour de San Luis. He was second on stage two there and finished eighth overall; around that time, he spoke on Twitter about the numbers issue and later elaborated on that with VeloNation. “It really comes down to the fact that cycling needs to be reformed. It is still an amateur sport in so many ways, even in that there is no decent riders’ union,” he explained. “There are so many things that need to happen to really legitimise our sport and really make it professional. I feel that you would also make it a more popular sport if it was easier to follow. Every year there are a few times when the race numbers subject comes up, maybe when riders are travelling on the bus. “We just say ‘why don’t we have permanent numbers?’ With something like motocross, you have a number for the entire season. It would be so simple to just implement a number system in cycling. There’s always give and take, but you are pinning on this little shoddy race number every race. Guys are cutting their numbers to make them fit their jerseys better and we are still using pins…it is like a joke. It is the same as a weekend 5 kilometre run. Stetina accepts that cycling is different to ball sports in that there are more than two teams playing against each other at one time. The multitude of teams in the peloton – which, outside WorldTour events, can change race by race – make things more complicated. He also accepts that having three or four digit numbers – which would be necessary if every rider in the WorldTour, Pro Continental and Continental peloton were to have their own unique identifier – is impractical. 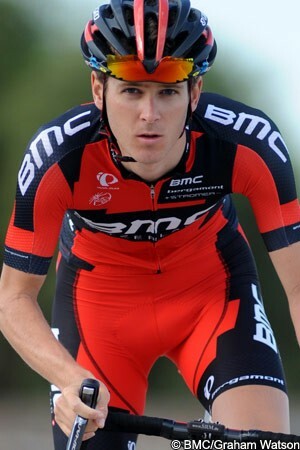 Instead, he argues that rider identification could be done using a combination of race numbers and the team jersey. In other words, while a number of riders might be allocated the same number at the start of the year, it would be clear which one was which because of the team kit they are wearing. Rider transponders already in use would also help in terms of finishing line positions. Stetina agrees that transitioning to a new numbering system would have both pros and cons, but feels convinced it would have long-term benefits for the sport. Rather than dossards changing race by race, he believes that fans and commenters would quickly learn to associate a rider with a given number. As they would use the same number week after week, event after event, their identification would become very quick over time, and would not require cross-referencing with race start lists. There would of course be implications for clothing suppliers. While there would be a need for individualised kit for each rider, Stetina doesn’t believe this would be a major obstacle. And while there may be some increases in costs, he argues that the companies concerned would likely recoup those through greater sales. “I think it would be easy for them to bring in numbers on the backs of jerseys,” he insisted. “You see guys on Sky and they each have their names on their jersey. So there are already custom jerseys coming through. “There would be a potential benefit to them as I wouldn’t actually be surprised if it leads to better sales. As regards the need to use a combination of number and jersey colour/design to identify the rider, he believes that this would also be practical. “Those watching or commentating on TV aren’t ever really seeing our bib numbers now,” he said. “The number is more for the commissaires and moto refs, unless the cameras really scan in on the back and Phil and Paul get that shot at the back of the peloton where they can pick it out. They always have to wait for the numbers to come up on the screen anyway. But what about the fact that there are a large number of teams out there, particularly when it gets to the point when Continental teams are competing in the same peloton as WorldTour and Pro Continental squads? Does he not feel there is scope for confusion? One possible result of such a system would be that teams would take steps to ensure that their jerseys are more identifiable than at present. That’s probably not a bad thing; in 2014, there are a number of teams using dark or black kit and this has already caused confusion in terms of easily identifying those squads from overhead shots. An obvious consideration to take into account is wet days and the use of rainjackets. Riders currently cover their team kit with such jackets, many of which are similar in appearance. Having that system plus identical numbers on jerseys sounds like a recipe for disaster. Stetina agrees that this would require a change, specifically having individual rainjackets for each rider on each team. “I think that’s the way to do it,” he said. “There would be a cost to the clothing sponsor [in printing individual numbers and also having those jackets in the same design and colour as the team jersey – ed.] 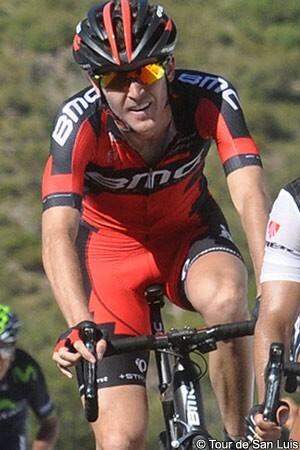 but in terms of a WorldTour team, clothing sponsors are already dumping in so much product as it is. Cycling is a sport which is rich with tradition. That extends to dossards themselves, with the defending champion in events given the number one to wear. It signifies their status as the previous year’s winner and, much like the rainbow jersey for world champions, is a visual reminder to riders and fans alike of their past achievements. Stetina’s proposal would clearly see the end of this practice (although it would give scope for a new tradition of a team’s overall leader having the number one jersey in those colours). He accepts that this may not initially sit well with some. “When we were discussing the idea on Twitter, a few people brought that up. It is a cool cycling tradition, but do you see the guys who won the Superbowl last year wearing the number one this year? No, it is the same jersey,” he argues. “Everyone knows they won the Superbowl. I think that is a tradition that you would maybe have to forfeit for the greater good. “A bunch of people also brought up race sponsors’ logos…organisers use the number as another logo spot for their sponsors. Honestly, though, why should be we marketing for them for free? It has been a big issue that there is no revenue sharing, and so why would we market for the race sponsors for free on our backs when we don’t see any of that? At this point in time, Stetina feels that the push for a new system is largely coming from individual riders and some fans rather than teams. However he said that former pro Christian Vande Velde attended a CPA [riders union] meeting last month and that the idea is already on the radar and being talked about. “It’d be good to bring it into the light a little bit and say, ‘hey, this is an easy fix’,” he said. “It wouldn’t even change a big deal…it is not this huge reformat. It is just such a simple, quick move. You change a few things and it’s done.